Kindergarten has a way more rigorous academic focus than it did 20 years ago when I was teaching elementary school. I am often quite surprised that children are expected to learn all of their letters and sounds in preschool and then begin the decoding, blending and reading process in kindergarten. I am not a big fan of pushing reading and writing on children too early in life. Often they are not developmentally ready for such a big task. 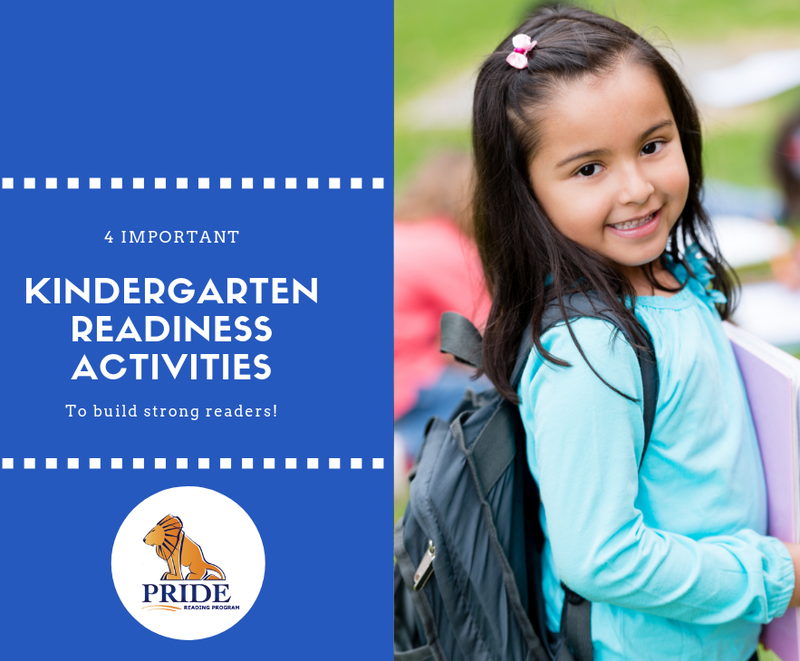 On today’s post I am going to share with you 4 kindergarten readiness activities that will get your child ready for reading in kindergarten but also not push them too hard. The first kindergarten readiness activities to work on with your child is focused on rhyming. Rhyming is an important step in the reading development of children. Rhyming draws attention to the different sounds in our language and that words actually come apart. For example, if your child knows that jig and pig rhyme, they are focused on the ending ig. This helps lay the groundwork for teaching phonological awareness which is the most crucial foundation for reading. 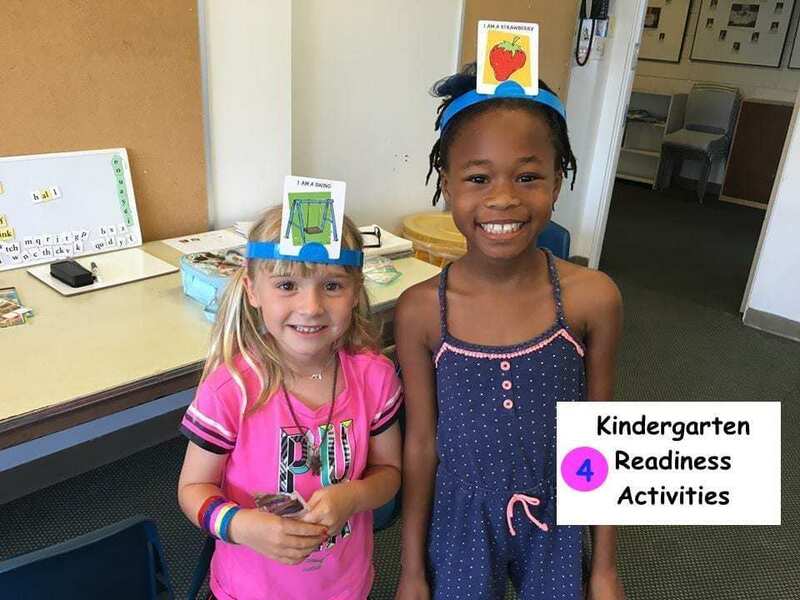 Research from the National Reading Panel shows that students benefit from direct instruction on rhyme recognition paired with fun activities that target this skill. You can teach rhyming to your child by reading stories and poems that use a lot of rhymes aloud together. You will want to first read the story aloud several times simply for the pure joy of reading and sharing the story together. Then you can begin drawing attention to the sounds of the rhyme. For example you can say, “I hear rhyming words! Dog and Bog rhyme!” You can also ask your child to predict the next word in the rhyming story (they love doing that). 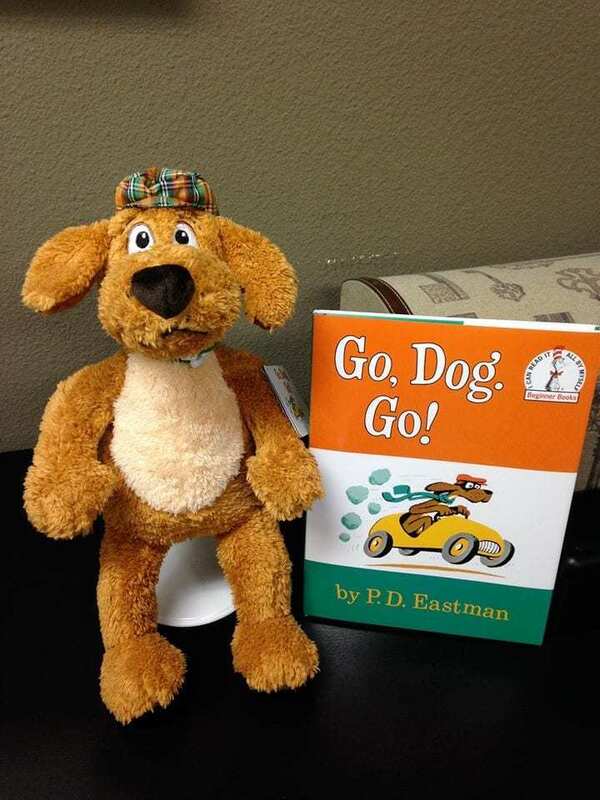 As you read these rhyming books aloud, you will want to really exaggerate the sound of the rhyming words. The second kindergarten readiness activity to work on with your child includes learning all of the letters and sounds in the alphabet. Research has proven that the single best predictor of first year reading achievement is a child’s knowledge of and the ability to recognize and name the letters of the alphabet. A child with automatic, accurate, recognition of letters will have an easier time learning about letter sounds and word spellings than a child who does not know the letters of the alphabet. There is a correct way to teach your child how to recognize the letters and learn the sounds in the alphabet. You will first want to teach your child all of the consonants in the alphabet. Save the vowels for the very last step as you approach these when you begin teaching blending. I also just focus on teaching lowercase letters. The children become very confused when they are taught 2 letters and 1 sound. Best is to just stick with lowercase beginning consonants and bring the uppercase letters in at a much later time. Reading mostly involves lowercase letters. Also, using multisensory techniques are key to getting those letters and sounds to “stick.” Examples of multisensory activities include, airwriting, palm writing, sand writing, building with letter tiles, playing letter bingo, etc. You might consider using the PRIDE Reading Program to teach your child the letters and sounds in the alphabet. This Orton-Gillingham reading program is multisensory and uses a lot of activities and games to teach beginning reading skills. It is also heavily scripted out and very easy to use. The third kindergarten readiness activities to work on with your child include singing and chanting together. Songs, chants and nursery rhymes help your child hear the smaller parts of words, the sounds and the syllables. 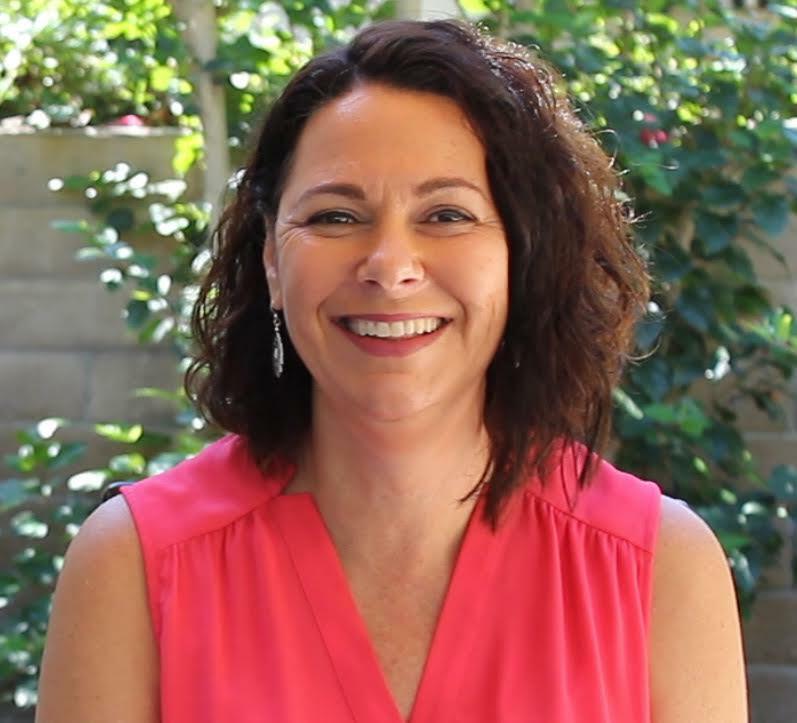 It is connected to phonological awareness, and it is one skill children need to learn how to read. Research shows that a child’s knowledge of nursery rhymes and other common childhood songs is one of the best predictors for reading readiness in kindergarten. Children that spend time singing and chanting nursery rhymes as babies, toddlers and preschoolers are more likely to be ready to read as they enter kindergarten. Singing rhyming songs and rhyming chants is a great way to teach rhyming and patterns of sound. Singing is so easy to fit into your daily schedule, as you can basically break out in song or chant any time of the day. The final kindergarten readiness activities to work on with your child include providing a language rich environment. Recent research has proven that children with language impairments or language delays have poorer reading achievement and higher rates of reading disorders. Children that have poor language skills will ultimately have poor phonological awareness, decoding and comprehension skills. That is why increasing your child’s language skills will also increase your child’s learning skills. Spend time each day having your child describe the details of their day or particular topics of interest or ideas. The dinner table tends to be a natural conversation place for families to talk and catch up on daily events. Also, before turning out the lights in bed is another great time to let your child fill you in on the day’s events as well as create conversation and bonding time in a relaxed environment. After reading a book aloud with your child ask them to summarize what they just heard. Ask them what happened at the beginning, what happened in the middle and what happened at the end of the story. You can also do this with movies you watch together. Get them in the habit of sequencing events and building summarizing skills. This leads to strong reading comprehension skills later on in life. If your child speaks very little or has nothing to say, you can provoke them by asking questions that include a prompt, such as, “What was your favorite activity today?” Or, “Did you go to the sandbox today or play on the swings?” You want to stay away from conversation starters that end with yes or no as an answer. My routine every night while tucking my kids into bed was, “tell me one thing about your day that was amazing, and tell me one thing that was a little bit icky.” My kids just loved doing that. 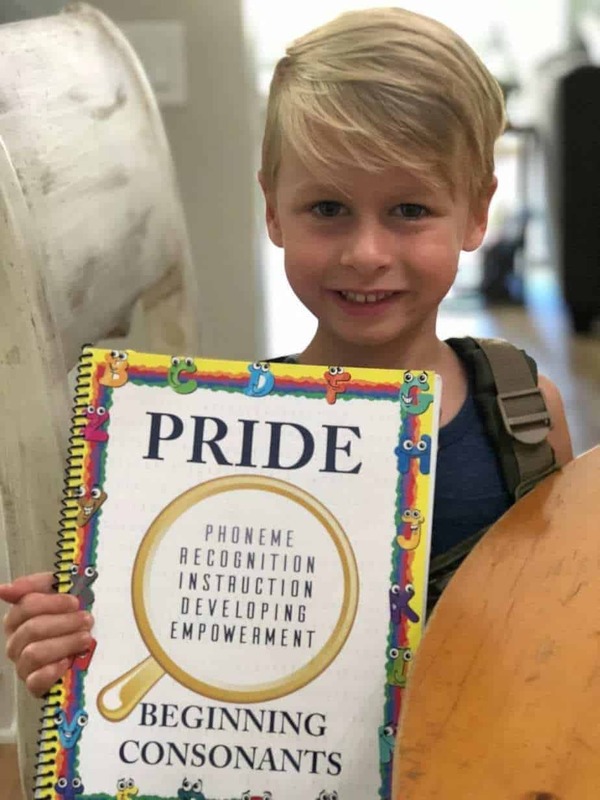 And while you are here… please check out the PRIDE Reading Program. 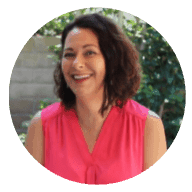 This is an Orton-Gillingham program that is heavily scripted out, super easy to use, very affordable, and used by homeschooling parents, tutors and teachers with great success. Let me know what you think. Thank you for reading my post today!